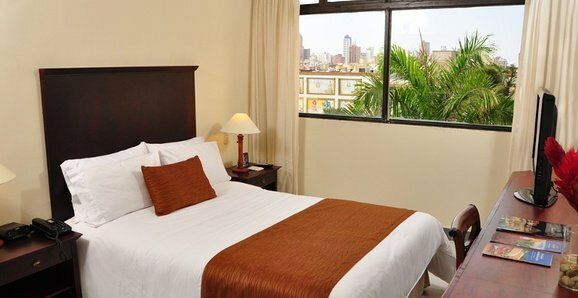 The rooms of the Faranda Express Puerta del Sol Barranquilla Hotel offer comfortable spaces, with elegant and functional decor conceived to ensure the maximum comfort and relaxation for those travelling to Barranquilla for business reasons or pleasure. 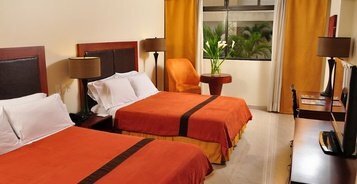 Book your room in Barranquilla with 4 star services in a privileged location. 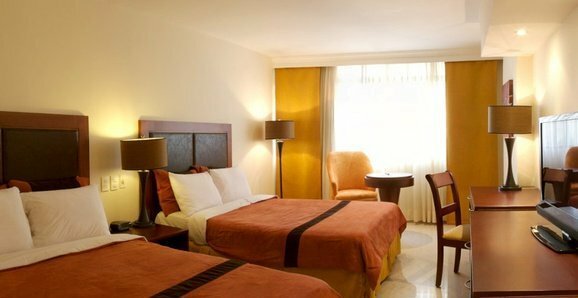 Enjoy a quiet and friendly atmosphere in our Classic rooms, equipped with a double bed, complete bathroom with hairdryer and telephone, television, minibar, safe, Wi-Fi, clock radio and a table and chairs. All are bright, decorated in a modern style and have views of the hotel pool or the city of Barranquilla. 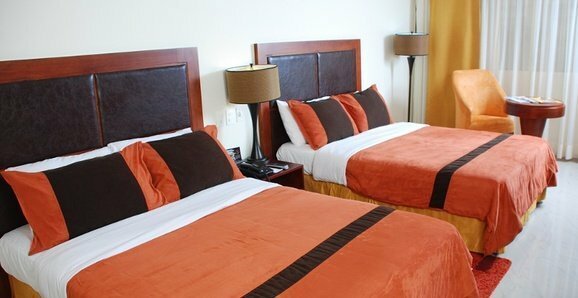 Our Executive rooms have a capacity for 4 people. 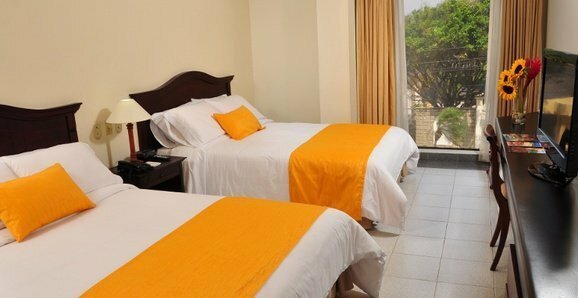 These bright rooms are designed to make your business trip to Barranquilla as comfortable as possible. 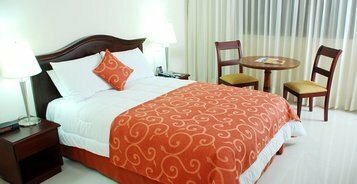 Here you can enjoy contemporary decor, lots of space and a complete selection of services. 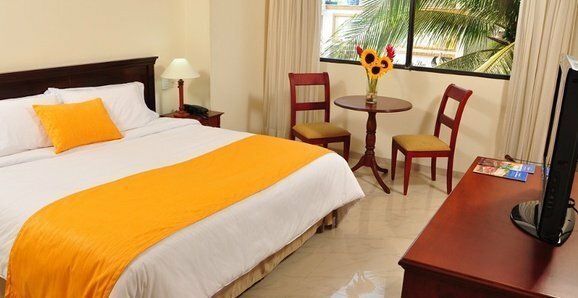 They are equipped with single or 2 double beds, LCD TV, Wi-Fi, complete bathroom, desk, minibar, safe, international telephone and alarm clock. 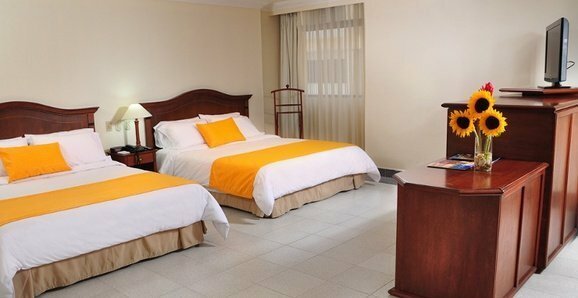 The Superior room is the perfect choice for couples looking for a cozy and bright room as well as for those traveling on business. These large spacious rooms have the services needed for a comfortable stay, plus a large king size bed, living room with work area, a large sofa, Wi-Fi, minibar, safe, bathroom with hairdryer and a telephone. 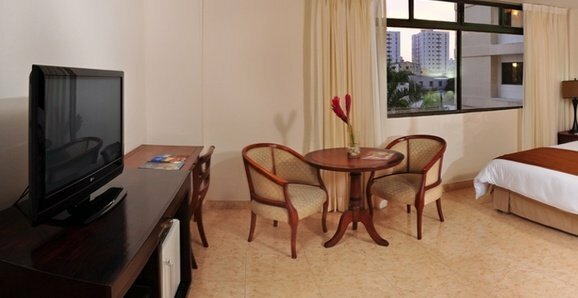 Here families have the perfect place to relax in privacy at our fantastic Junior Suite. 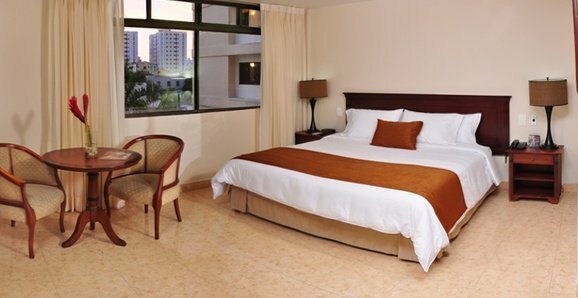 These rooms have 2 king size beds, a dining room, Wi-Fi, minibar, safe, international telephone, air conditioning and a large bathroom. 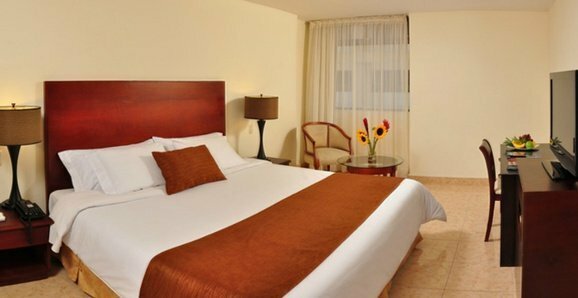 In addition, these rooms have a beautiful view of the hotel pool. 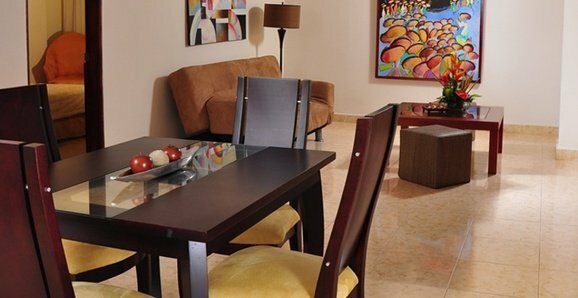 Our Suites offer the perfect room for clients who want to enjoy a relaxing holiday with all the comforts of home. 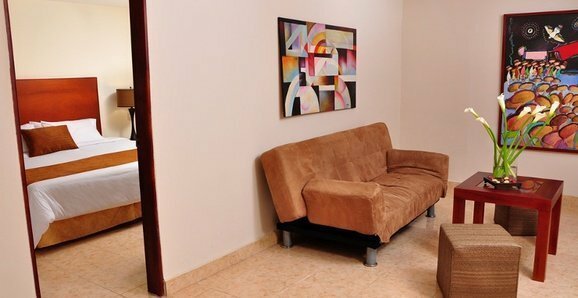 The rooms are designed as independent apartments, have a modern design and are equipped with a large bedroom, dining room and workroom. 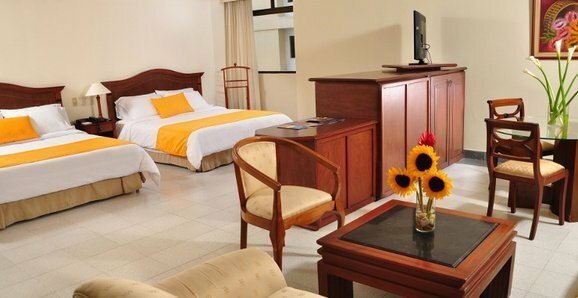 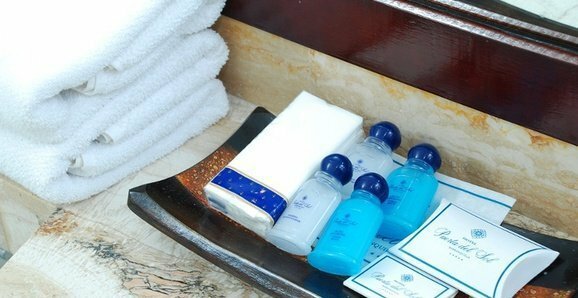 In addition, they have all the exclusive services of a 4 star hotel such as Wi-Fi, alarm clock, minibar and complete bathroom with hairdryer and telephone.